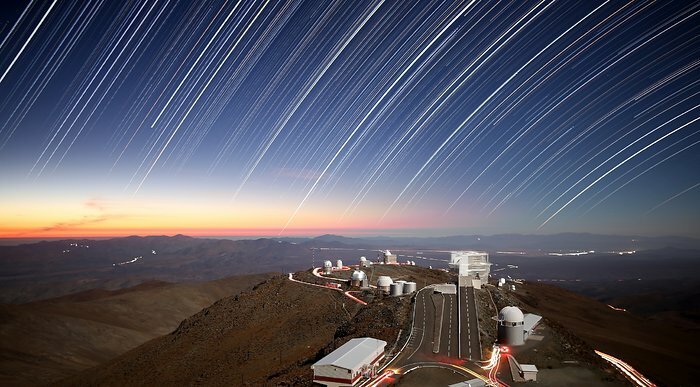 As the Sun sets on another day at La Silla, the observatory’s staff members are able to start doing what they do best — observing and exploring the night sky! 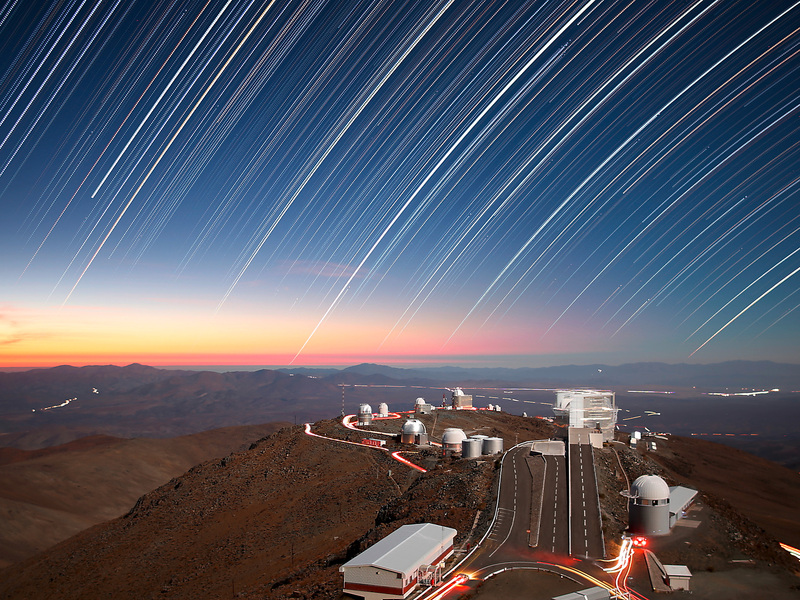 La Silla was ESO’s first observatory, and remains one of the most productive observatories in the world. This photograph captures the last few rays of sunlight, producing a striking blend of orange, red and yellow close to the horizon. More prominent, however, are the bright star trails streaking and curving through the sky. 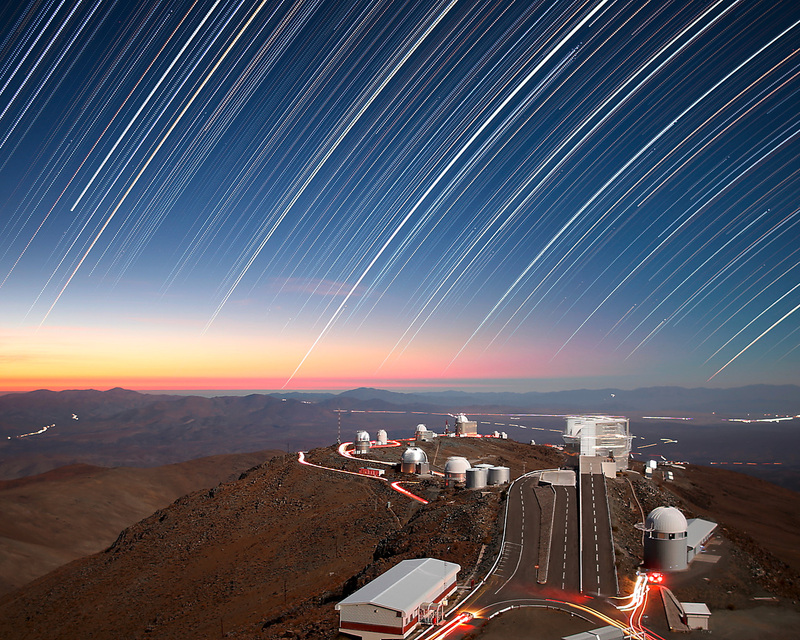 Each of these trails is formed by the motion of an individual star, captured over a long exposure time. Vehicles also form light trails from their rear headlights as they move, lighting up the network of roads throughout the region. 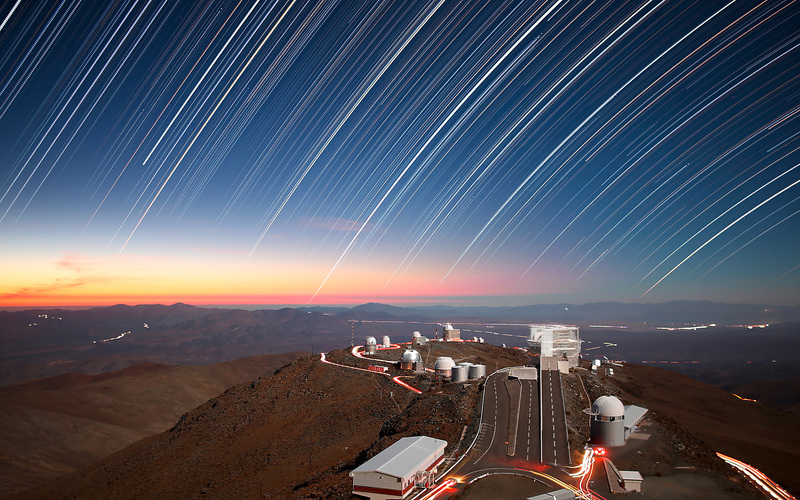 This picture was taken by ESO Photo Ambassador Roger Wesson. To show both twilight and the growing star trails in the same image, Wesson combined 763 different 20-second exposures, beginning approximately 40 minutes after sunset and continuing through the night.